After establishing our man with a van service in 2009, we've come a long way from our initial fleet of just two vans. During our initial startup, we decided that our priority would be customer satisfaction and service quality. These beliefs have and been passed on from person to person, until of our service providers understood just how important this was. What makes us so different from our competition? Well for a start, we're a family run company with some of the greatest reviews, at even fairer prices. Our service providers are all hard working, fully trained and qualified, as well as being highly experienced individuals, with years of knowledge and expertise. Whether you need our services for a local removal in and around the London area, or a cross-country courier service, with a package that needs to get to its destination safely and securely, we have a man with a van to suit you. You won't find anywhere else that can boast as much experience with our level of knowledge, whilst still remaining entirely affordable and customer orientated. Whatever you need doing, you can trust our partners at Finest Man and Van London. If you don't want to take our word for it, please feel free to check out our database of reviews online to get a better understanding of just how far we'll go to help you. We guarantee to be fully equipped and ready to transport your goods to a destination of your choice, without hassle, in a friendly manner and most importantly, to suit your schedule. At Finest Man and Van, we're fully insured and you can relax in the knowledge that your goods are being taken care of by our professional removal specialists. We are also available 24 hours a day, 7 days a week so that you never have to worry about fitting us in around your busy schedule. We offer a broad range of services from removals and deliveries to transportations and relocations, throughout the entire area of London. 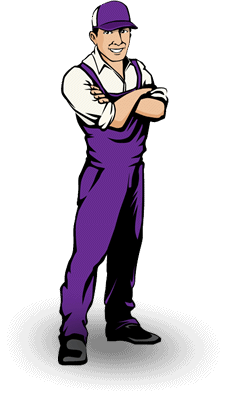 In fact, if you're looking for a man with a van in London and the surrounding areas, simply get in touch and we'll be on your doorstep whenever you need us to be. We operate locally, nationally and even internationally, so should you ever need a delivery service that you can trust, our man and van partners are here for you. 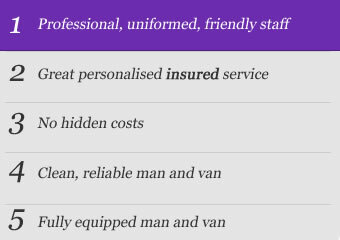 For a full list of our services and for any further information that you may require, please visit http://finestmanvan.co.uk/services/ today and get in touch for a quote or for any enquiries. We cover the entire length and breadth of London, from the busy streets of Camden Town or Enfield Shopping Centre, all the way to Wandsworth Common, Clapham and Waterloo. Local, National & International removals is what we are known for; infact Paris, Berlin, Amsterdam and Brussels are a regular stop for our service providers. If you can think of a location, we can be there as soon as you need us. From the loading to the unloading, our highly trained partners know exactly how to get the job done. So for any further information, please feel free to get in touch with us today and we will be more than happy to help with all of your enquiries.